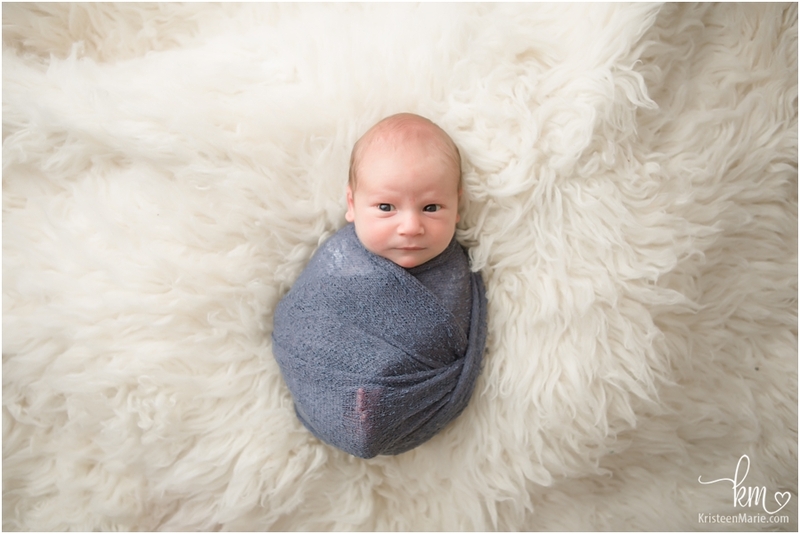 Baby Julian made his appearance into this world on May 10th and he is just so loved, adored, and treasured by his family. Now that Julian is here, mom and dad have three children under 4 and boy do his older sisters just LOVE, LOVE, LOVE him! 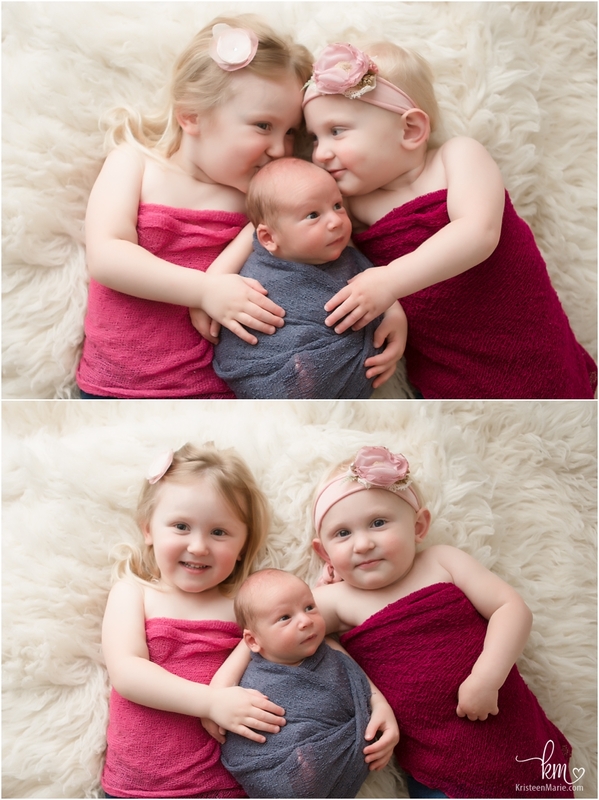 Big sister is 3.5 and middle sister is almost 2; and while having all of these little kiddos in the studio they were all great for the photos! 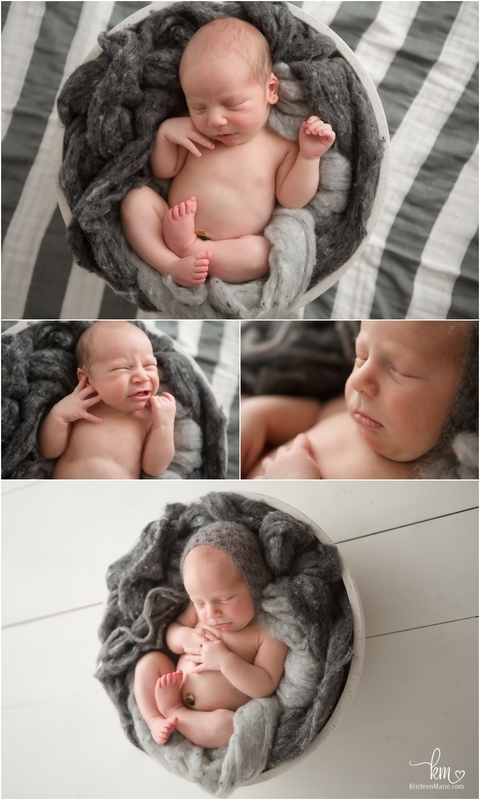 The sisters definitely like to dote on their cute little baby brother- I mean, just look at him- he is so adorable! These parents sure have their hands full, but they make it all look so easy! Be sure to check out all of the great photos below! I hope you enjoyed these images as much as I enjoyed taking them! What a wonderful Indianapolis family!! 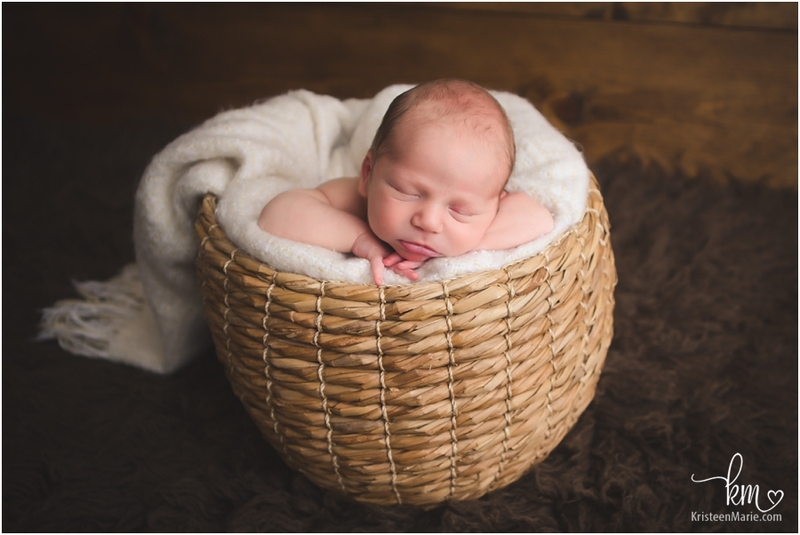 If you are interested in learning more about Indianapolis newborn photography please let me know! I would be happy to tell you more and to get your due date on my calendar.